NASA chief Charlie Bolden went to bat for the agency's imperiled next-generation space telescope Tuesday (July 12), telling members of Congress that the instrument has greater potential for discovery than the iconic Hubble Space Telescope. 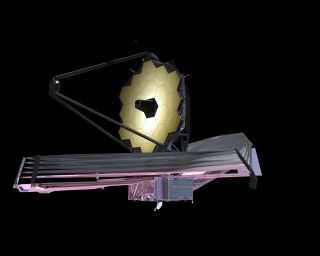 A proposed congressional budget bill announced last week would terminate NASA's James Webb Space Telescope (JWST), an ambitious instrument with a history of delays and cost overruns. But NASA can deliver JWST to space for about the same price as Hubble, Bolden said — and the science returns would be even greater. The $6.5 billion JWST, named after a former NASA administrator, is billed as the agency's muscular successor to Hubble, which launched back in 1990 and is still going strong. JWST is an infrared observatory designed to peer further back into the universe's early days than ever before. While many researchers have enthusiastically touted the telescope's potential, its development has been plagued by problems. Last November, an independent review panel found that JWST will cost at least $6.5 billion and could launch no earlier than September 2015, putting it $1.5 billion over budget and more than a year behind schedule. The telescope's issues are primarily the result of poor management practices, the panel further concluded. A recent budget and technology plan painted an even more pessimistic picture, estimating that JWST could launch by 2018 at the earliest. And last week, the telescope's future came into even more serious question. The House Appropriations subcommittee that oversees NASA proposed a 2012 spending bill that would give the space agency just $16.8 billion, $1.6 billion less than last year. JWST's funding would be pulled completely. Bolden came to Capitol Hill Tuesday to discuss NASA's plans for its next heavy-lift rocket system — specifically, to explain to an increasingly impatient Congress why the agency has yet to decide upon a design. But he also fielded questions about JWST's fate and made a case for the instrument's continued funding. For example, Bolden stressed that NASA has made changes to JWST's management, and that the instrument is already quite far along in development. More than 75 percent of the telescope's hardware has already been delivered, Bolden said. The NASA chief also stressed JWST's potential to revolutionize our understanding of the universe, invoking Hubble's great achievements as an example of what such powerful telescopes can do. "When we started Hubble, dark energy didn't exist. At least, we didn't know about it," Bolden said. "When we launched Hubble, there was no such thing as extrasolar planets. So those kinds of discoveries would probably go lacking, unless some other nation stepped forward and did it."